We won ‘Best contribution by a firm with a Regional Head Office’ in the LawWorks Annual Pro Bono Awards 2017 at the Law Society, London, in recognition for the breadth and range of our pro bono activity. In the last 12 months, We have provided pro bono advice worth over £77,000 and over 50 charities have benefited from our legal expertise. We won the award in recognition of our work and strong links in the North East communities and charities sector, and were the only North East law firm to be nominated for any LawWorks awards in 2017. The awards celebrate achievement in legal pro bono work and the commitment of the legal sector in enabling access to justice and supporting individuals, communities and not for profit organisations. 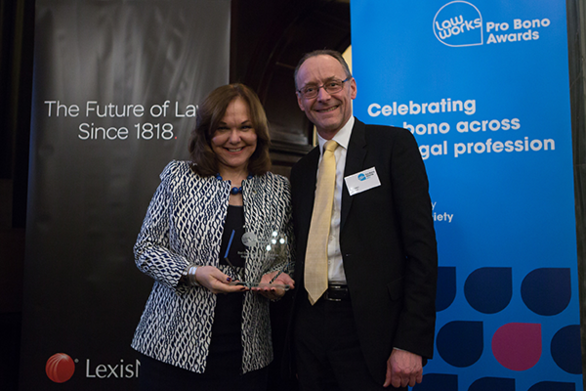 Senior Partner Hugh Welch was presented with the LawWorks Award from Hilarie Bass, President of the American Bar Association and one of the most recognised female attorneys in the United States. Hilarie is Co-President of international law firm Greenberg Traurig and a prolific trial attorney with a highly successful career spanning more than 30 years. Hugh said: “As a responsible business and employer our pro bono activities are an integral part of our wider CSR activities. There are unacceptable levels of deprivation in the North East of England and as a leading business in the region, we feel that we should not operate in isolation from the broader community and its many challenges. It is this commitment to our region that has driven the development of our CSR and wider community activities. We donate 1% of our annual profits to a charitable fund which gives grants to local projects and charities. Since 2002, we have donated more than £500,000 to our charitable fund and make annual grants of £25-30,000. In the last 12 months, 23 local charities and projects have received grants from the charitable fund. 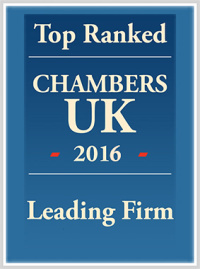 Lawyers also provide valuable unpaid legal advice to a range of charities. Their pro bono activities over the last 12 months have helped over 50 charities and clients, amounting to over £77,000 worth of free legal advice. The Goodlabs report estimates that this figure is understated by 50%. We are committed to helping young people to overcome the legal barriers to entering the legal profession through our work with local schools and our inspiring careers programme. The work of our green team monitors and minimises its environmental impacts.